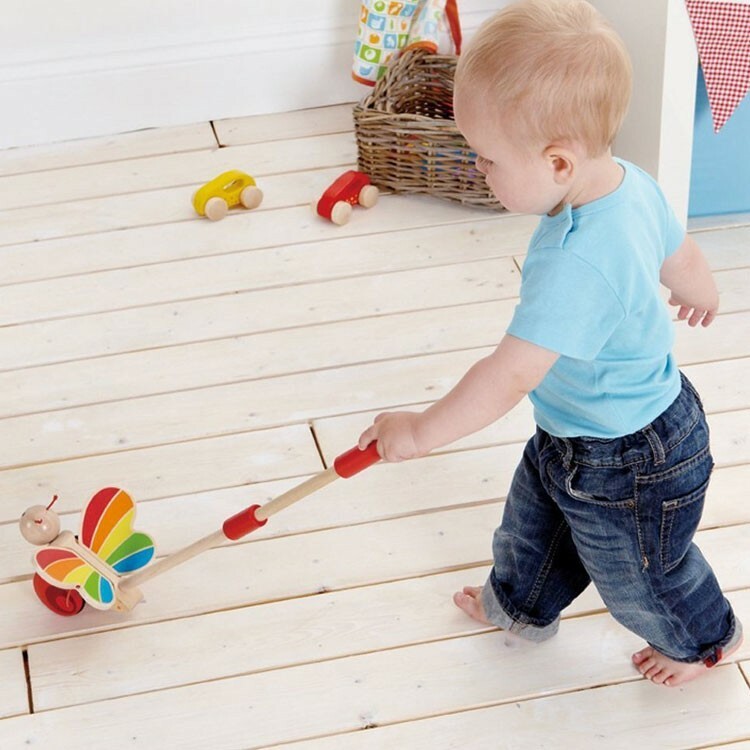 Push or pull this Hape's wooden butterfly, its fluttering wings and your tot's feet will feel flying. 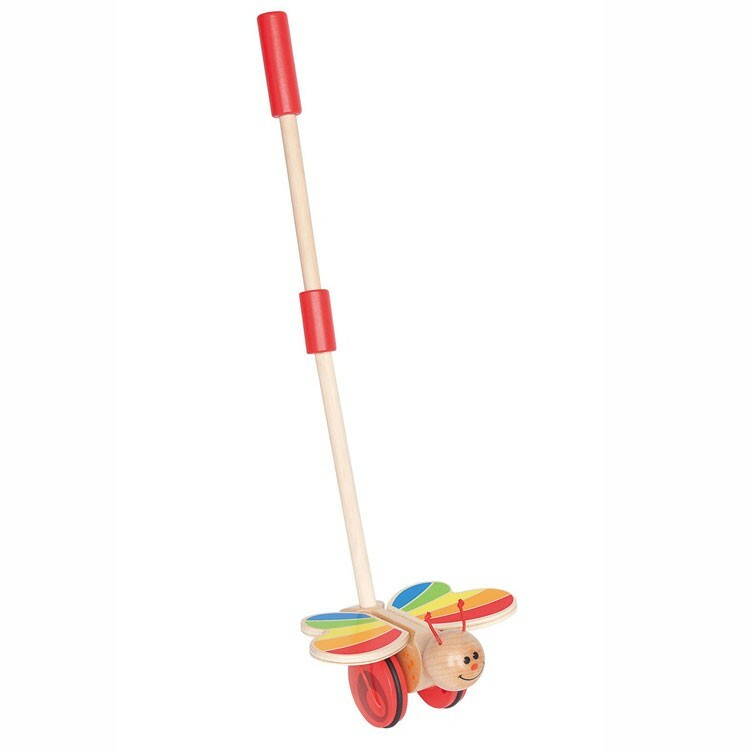 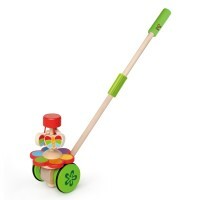 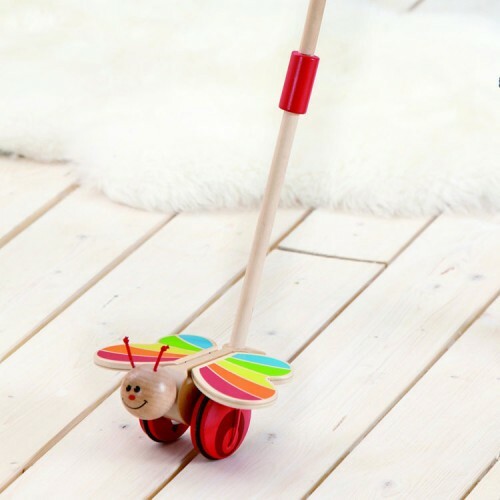 Your toddler will surely fly around the house pushing this stick butterfly toy! 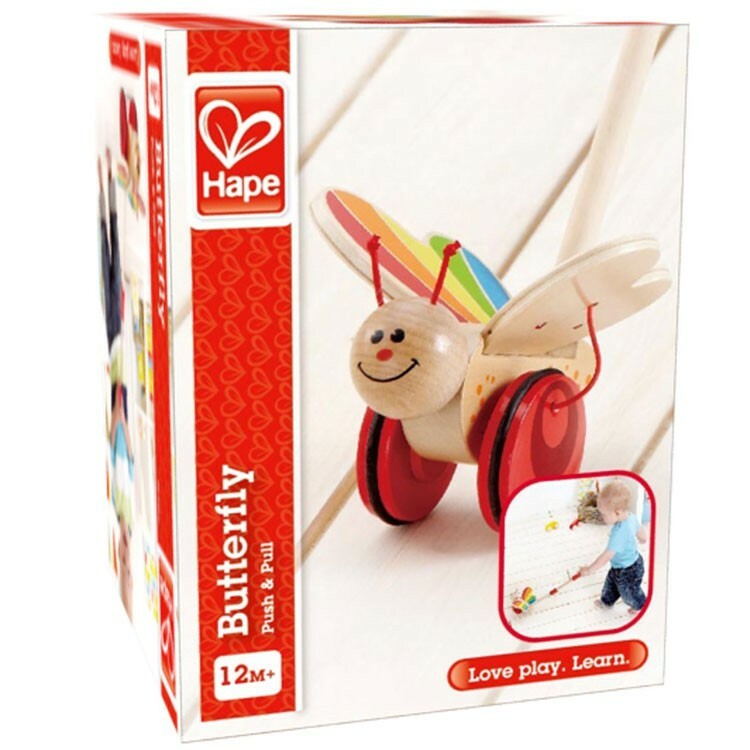 Butterfly Wooden Push Toy by Hape will encourage your have some active play time. This colorful toy butterfly has fluttering wings that it flaps as its wooden wheels roll around. 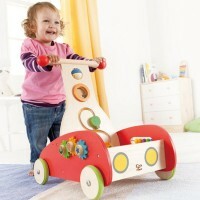 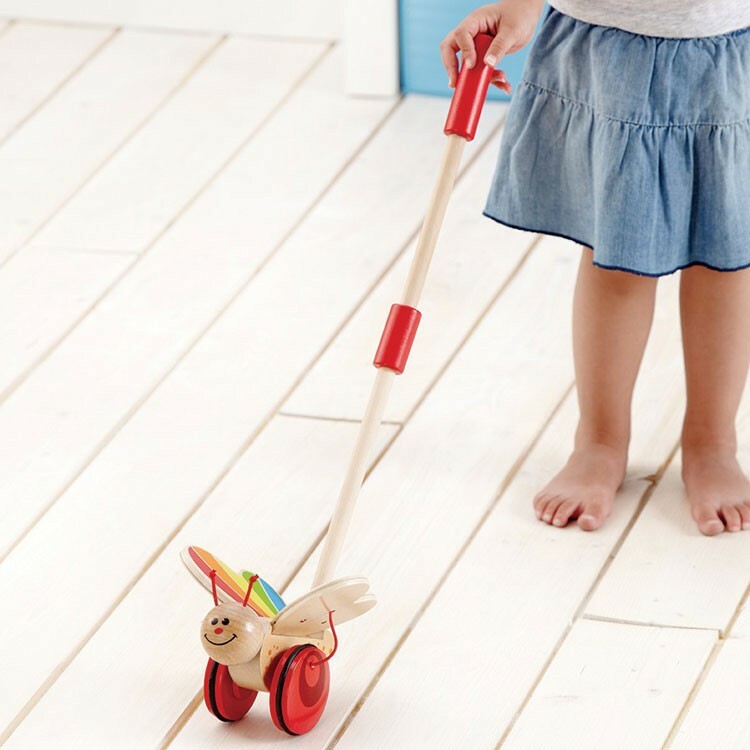 Push it, or pull it, first steps, flapping wings and smiles are guaranteed with the Butterfly Wooden Push Toy. 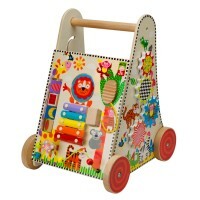 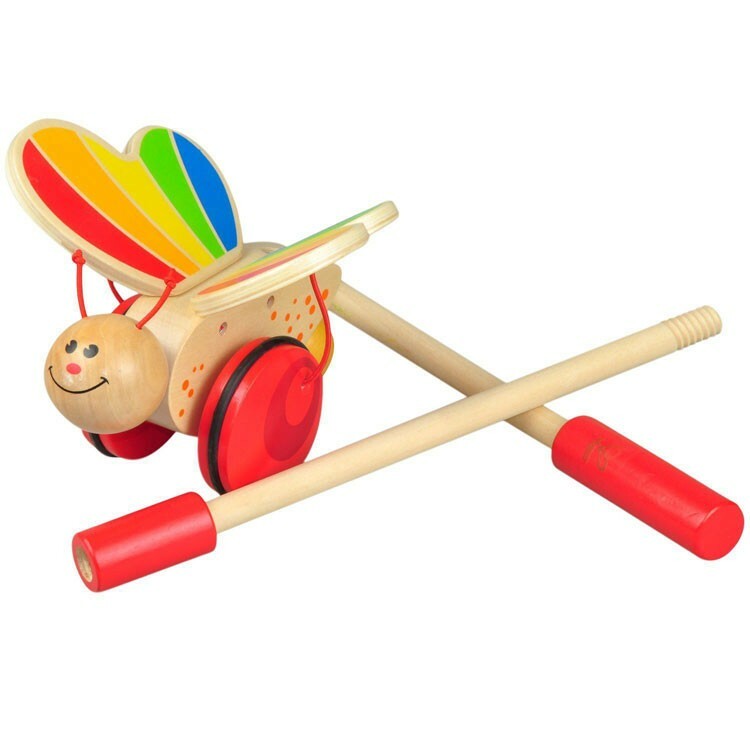 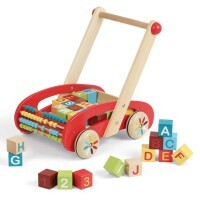 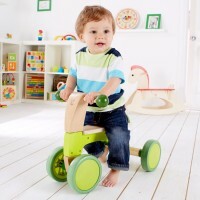 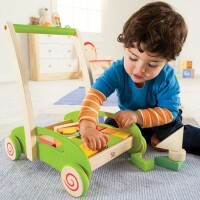 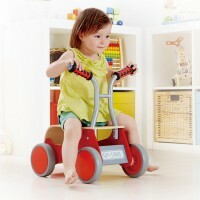 Assembled wooden push butterfly toy is 6.4 x 5.8 x 22.25 inches. 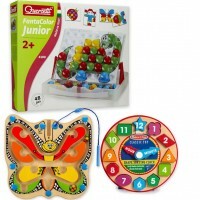 Dimensions of package 5.83" x 22.24" x 6.34"
Write your own review of Butterfly Wooden Push Toy.